Host of What Do You Make? After aborting a music degree in 2006, Morgan graduated from the Queensland College of Art in 2011 with a degree in Photojournalism. Realising he couldn’t make street photographs for a living, he turned his eye to documenting weddings after a strong suggestion from his wife that he could be pretty good at it. Since 2013 he’s photographed over 70 weddings and elopements across Australia. 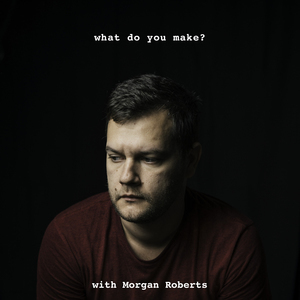 In 2016 he started podcasting with What Do You Make?, Everyone Is Terrible (except for us) and The 37th Frame. He continues to make street photos for himself, and lives in Brisbane with his wife Emma and son Harry. Morgan Roberts has hosted 29 Episodes. Jen Maunder Loves Kanye, and other stories.